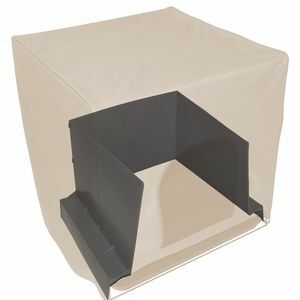 The Pro Pawty Wall Guard is a great addition to the Pro Pawty to help further protect from messes. This product was designed specifically for dogs that lift their leg "to go". Instead of creating a mess on the interior of the Pro Pawty (or on your floor or walls) all messes are directed onto the pee pad or grass patch below. The Wall Guard is made of plastic for easy cleaning and sets up in seconds, no tools required. Pet Gear Pro Pawty- designed to help train your dog to use a designated area �to go� in.